New York is known to be one of the impressive cities in the world. But it is also one of the most romantic cities in the world. I have experienced that New York has incredible romantic locations with spectacular views, perfect for wooing the ladies! For a lot of people, including myself, planning the perfect date can be quite nerve racking. This is why I found it interesting scout the city looking for the most romantic spots in New York. 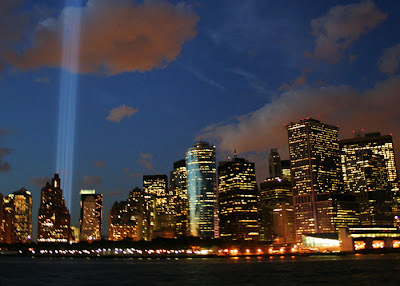 Take a look at what I find to be the most romantic activities, spots and views of New York. 6. Salon de Ning at the Peninsula hotel. If you are willing to invest some money in your date you should definitely visit one of the many rooftop lounge bars or restaurants. A good example is the Peninsula Rooftop where you can hang out, have a conversation while enjoying a view of the Manhattan skyline. This is a good way to connect and your date will know you have class. In my opinion, parks have the perfect settings to end a date. Union Square Park is a peaceful location with various street performers. It is a great place to just walk around, talk and enjoy the romantic atmosphere and really get to know the person you are with. The green surroundings provide a soothing atmosphere. If you are looking for the perfect date, than I have got one for you. 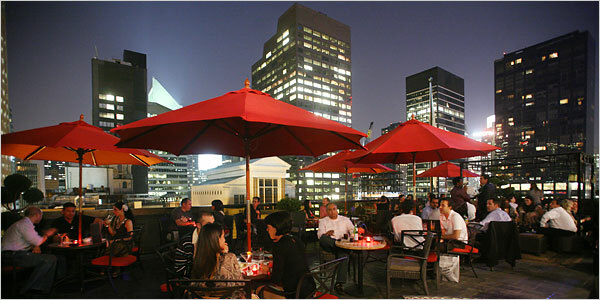 Take your girlfriend to one of the many amazing roof top bars or restaurants. After dinner take her on a ferry ride on the Staten Island Ferry. You will have an amazing view of the Island of Manhattan. This may not be the most unfamiliar New York activity, but this doesn´t make this ferry ride any less romantic. This remarkable fountain in front of the Metropolitan opera is the perfect spot to get down on your knee and propose to that special someone. In the night time, when this fountain is colored it is one of the most beautiful spots in the city. Also if you just want to sit down watch somewhere, have a conversation and listen to some jazz, this spot is the perfect location for the end of a first date. 2. Wollman Rink at Central Park. 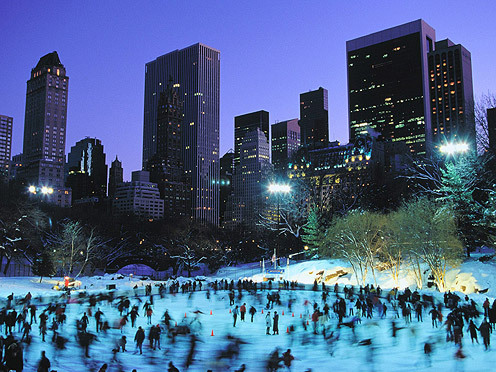 If you want to do something romantic and not want to have the standard interview conversation, have some fun with your date and go ice skating at the Wollman Rink. At night this skating range is really beautiful between the trees and beautiful lights. Just have fun here and a successful date is guaranteed. This is also the place where a scene of the romantic comedy ´Serendipity´ was filmed. Now if you want a guaranteed successful date on the perfect location with the perfect view go to the Empire Fulton Ferry State Park. This hidden park is a great location to propose, watch the sunset or talk at the end of a date. 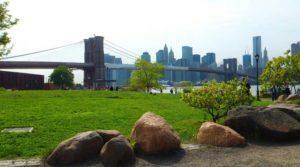 This spot has an amazing view of the Brooklyn bridge and the New York downtown skyline. This place has the perfect setting for the end of a romantic end of a date. These spots are my favorite romantic places in New York. If you have any comments on my dating scenarios or if you had better dating experiences in New York or somewhere else, I would love to hear them. J.Besters, the author of the “6 most romantic spots in New York” is a blogger and travel writer providing vacation rental information and advice in New York City.